When Rini Sampath read about another scandal at the University of Southern California, where she used to be student-body president, she decided she had to speak up. She created an online petition calling on the university’s president to resign following allegations about three former USC doctors. Sampath, a 2016 graduate of USC, wrote that the university’s president, C.L. Max Nikias, had either promoted two of the doctors “despite knowing their histories of abuse and mistreatment,” or had failed to properly vet people for powerful positions. “These scenarios directly sacrifice the safety of students on campus,” she wrote. She was concerned that Nikias — who announced last month that he would step down — was not responding appropriately to serious allegations reported by the Los Angeles Times. 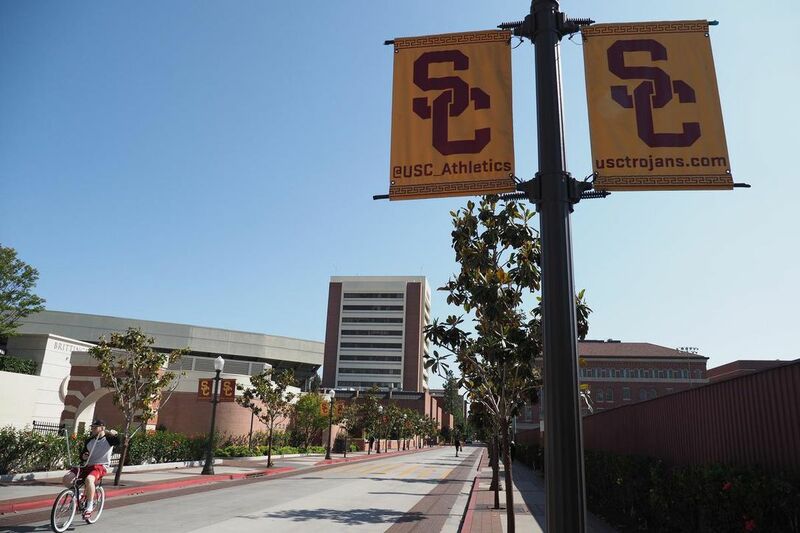 Last summer, for example, the Los Angeles Times reported that the former dean of USC’s Keck School of Medicine, eye surgeon Carmen Puliafito, had been using methamphetamine and other drugs. Earlier this month, an attorney for Puliafito sent Sampath a letter demanding she remove all reference to the former dean in the petition and accusing her of making blatantly false and defamatory statements. The American Civil Liberties Union of Southern California then stepped in, saying an important constitutional principle is at stake. The cease-and-desist letter from Puliafito’s attorney strikes at that important value, he said. “When powerful people try to silence people with threats of lawsuits, oftentimes they have nowhere to turn and they can be intimidated into silence even when they are exercising quite properly their First Amendment rights,” Eliasberg said. The attorney who sent the letter from Puliafito, Timothy Reuben, declined to comment. Puliafito finished hearings with the Medical Board of California this month, which had issued an interim suspension of his license last fall. He was accused of multiple causes for discipline, including practicing medicine on the same day as using drugs of abuse. Sampath had read that the dean who was hired to replace Puliafito soon resigned amid allegations of sexual harassment. Then last month, the Los Angeles Times reported that university officials had known of complaints about a longtime gynecologist at the student health clinic, but let him continue treating students. Hundreds of women came forward after the story ran, saying they had been sexually abused by George Tyndall. He had been a doctor there for more than 30 years. Sampath felt like Nikias had again failed the university, and wrote her petition. Within days, it amassed more than 4,000 digital signatures. But it also quickly got another reaction. Reuben wrote that Sampath’s statements about his client amounted to malicious libel and false light invasion of privacy. “Your accusations that Dr. Puliafito jeopardized the safety of women on USC’s campus, your attempts to conflate Dr. Puliafito with the allegations against Dr. Tyndall, and your false statement that Dr. Puliafito was promoted ‘despite a history of abuse and mistreatment’ falsely paints Dr. Puliafito as a sexual predator . . .” when that is categorically untrue, Reuben wrote. Eliasberg wrote to Reuben that his client did not defame Puliafito, and that she never alleged that he engaged in sexual misconduct. He said a reasonable reader would conclude Sampath’s reference to Puliafito’s history of “abuse and mistreatment” referred to the allegations about his abuse of alcohol and drugs and mistreatment of colleagues reported in the Los Angeles Times stories cited by Sampath. Eliasberg also wrote that California has a law intended to prevent powerful people from using the threat of lawsuits to stop criticism of them. Aaron Caplan, a professor of law at Loyola Law School Los Angeles, questioned the legal arguments in the letter to Sampath. “If he wants to sue because someone said something false about him, he has to identify something they actually said about him,” Caplan said. Because Puliafito is a public figure, Caplan said, he would have to prove Sampath wrote with actual malice. That means the USC graduate knew what she was saying was false, or she thought it might be false and didn’t care. But she had cited stories from a well-regarded newspaper, so, Caplan said, it seems she believed what she wrote was true. He said Puliafito could argue he’s not a public figure. “But if you are the dean of a prominent, nationally ranked medical school, and there has been press coverage of your conduct and someone is commenting on your conduct — at the very least he is a limited-purpose public figure,” Caplan said. Eliasberg said he hopes that Sampath won’t get more threatening letters — and that others wanting to speak out on an issue of public concern will know their speech is protected.